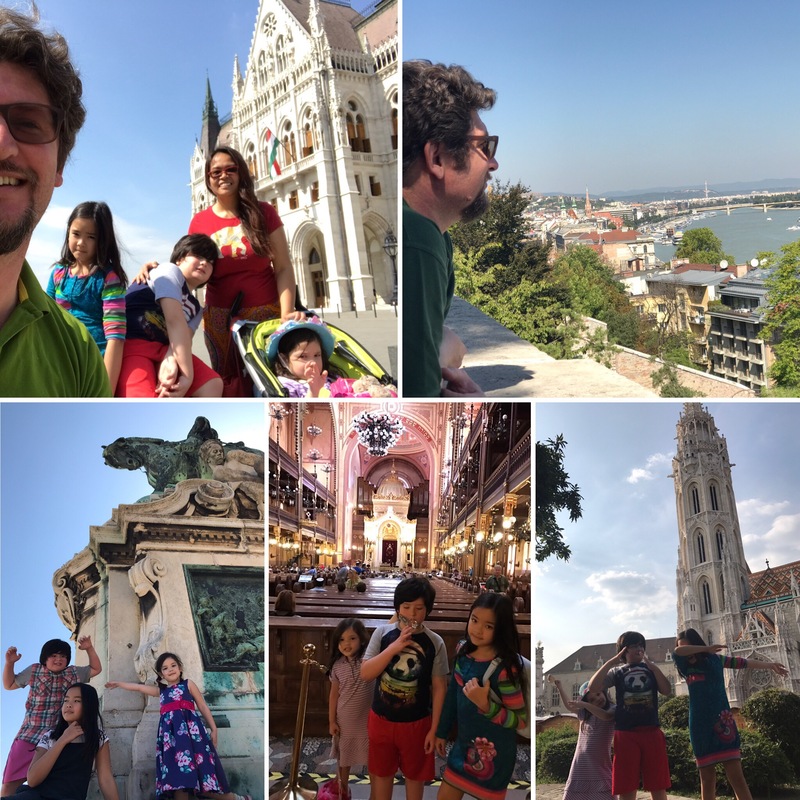 COUNTRY 28: Hungary, More Than Expected ﻿ – Turknoy Travels 100! 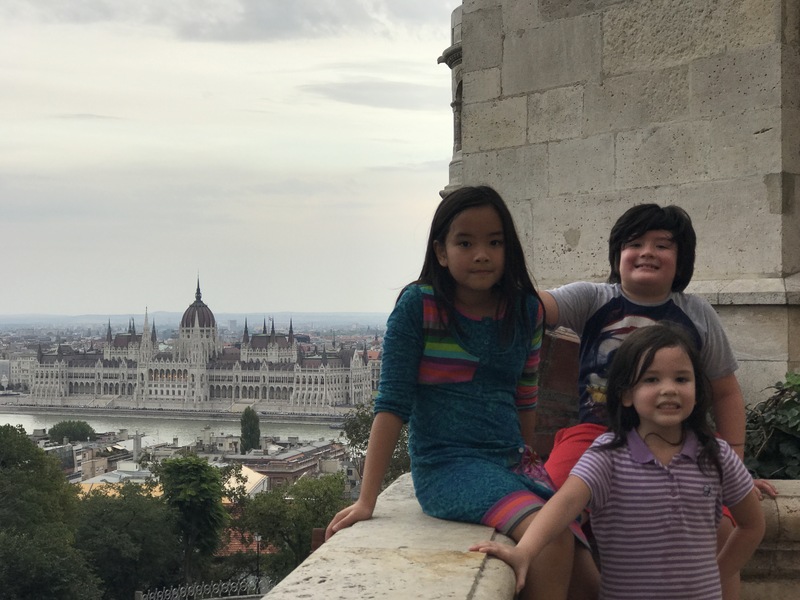 October 1, 2017 October 1, 2017 by turknoys, posted in Hungary, Travel Goals, Why Travel With Kids? 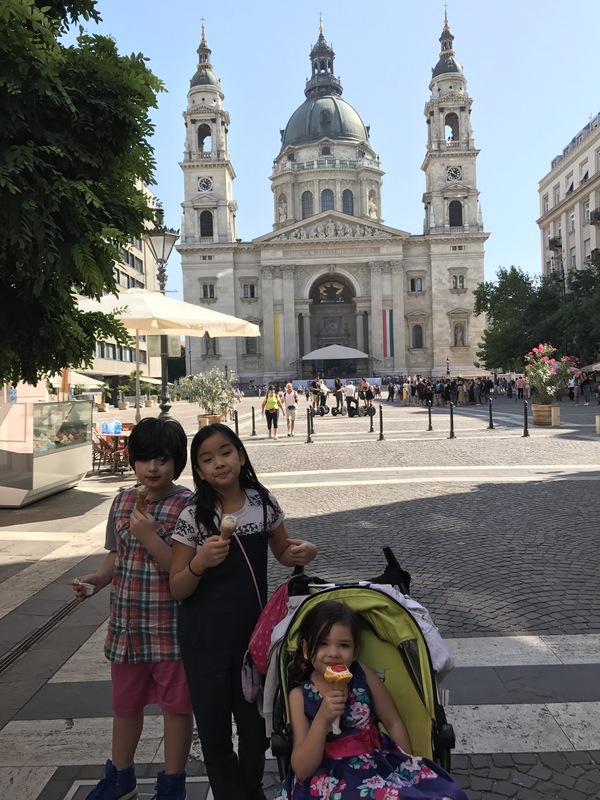 We got very inspired to write about our family travels when we were in Budapest, Hungary. We arrived at a conclusion that kids travel in Europe with Beauty and The Beast for two very obvious reasons , the continent’s natural beauty and it’s beastly barbaric history. Both great topics for worldschooling. For Country 28 of our 100 Countries travel goal, we explored Buda and Pest in great detail. We have walked both sides of Danube River admiring the landscapes and history of the country. We are very much aware that the country offers a lot of many diverse destinations, but this particular trip, we decided to simplify our country visit and get to know one of the most beautiful capital city in the world, Budapest. 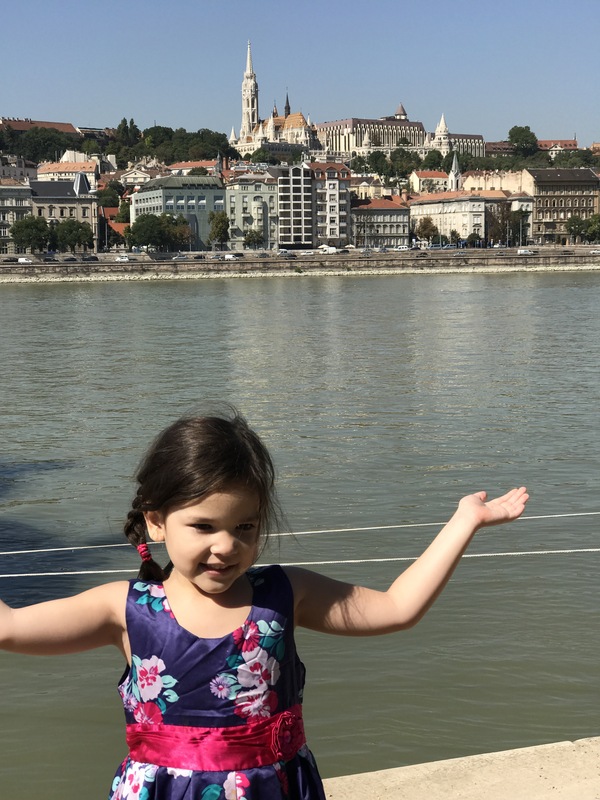 Getting to know the Danube River , the second longest river in Europe, serves a gateway for discussion of other countries the river runs through… and yes, more bucketlist and travel goals for the our worldschooling family – Black Forest, Romania, Belgrade. Oh the places we want to go when we visited places we’ve already been. Do you experience that as travellers? The more we know, the more we want! Danube River Cruise… uhhmm maybe someday! The diversity of the metropolitan city is very evident. 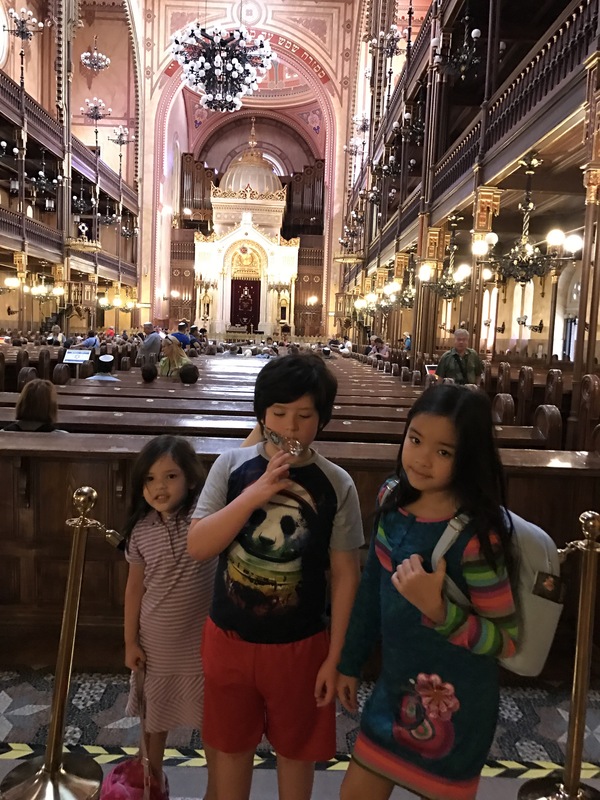 We were exploring St. Stephen’s Basilica one morning and the next morning, we were learning something new about Jewish faith inside the Great Synagogue, second largest synagogue in the world. The Great Synagogue not only features learning about the Jewish faith but an introduction to the holocaust memorial for Jews. A little heavy discussion for the kids. Maybe next year , there will be more serious discussions about this topic. There are lessons in every country we visit. We are not traveling with kids because of photos, but of moments we try to capture with our phone cameras. Just most of the time, we capture it so well, the memory of that certain place and certain time with kids melts our hearts. All the time. Flushed from all the running around Budapest (literally!) the view, the kids, the moment, perfect! Budapest, Hungary is one for our books. The rest of the country… kids will decide . If Atlas is a myth, Hungary definitely is not. What a cool trip. That is great that you travel with kids!